Mexico was transformed in 2000, when the National Action Party, PAN, was elected to power, ending a 70 year control by the Institutionally Revolutionary Party, PRI. During the PRI years, self censorship was rampant in the country, as the government imposed a heavy handed control of the national media. PAN candidates ruled for the next 12 years, from 2000 to 2012. But the PRI returned to power last December, due to electorate fatigue with former President Felipe Calderon’s war on drugs. The country has faced increasing challenges from organized crime gangs that were targeted during the Calderon government and it has had serious impacts on press freedoms in the Mexican provinces, where most media recoiled from reporting on organized crime-related violence. In the move to control organized crime groups, the Mexican government has increased its surveillance capacity. It has also engaged in human rights violations, which according to international organizations, such as Human Rights Watch, have only exacerbated the security situation. There is little media regulation and zero artistic censorship. But in the name of protecting the state from organized crime, the government has introduced various edicts and laws that could affect the rights of citizens. In March 2012, the Mexican Congress approved new legislation that gave police more access to online information. Also between 2011 and 2012, the Secretariat of National Defense, which controls the Mexican Armed Forces, purchased advanced domestic surveillance equipment. The new equipment includes mobile phone and online communications software that can be openly used to monitor Mexican citizens. In 2012, the government of the State of Veracruz introduced a public nuisance law that sends to jail any social media member who uses Twitter or Facebook to warn fellow citizens about violence. The law was set in place because two Twitter users warned state residents of shootouts that turned out to be false alarms, but had the city of Veracruz traumatized by the alleged reports. The problem remains that bloggers, and social media users have become alternative sources of information because the traditional media in at least half of the territory of Mexico are afraid of reporting on drug related violence. Drug traffickers also retaliated against social media users. They killed at least two bloggers in the northern state of Taumalipas and also two Twitter users, whose bodies were never identified and were found hanging from a bridge overpass. Two websites that made a name for themselves by running stories and reports on drug trafficking activities around the country were forced to shut down because of direct attacks. Twitter, Facebook and YouTube have been extremely useful sources of information in Mexico. Abuses of authority against indigenous people or by children of the powerful and well-connected have been exposed in videos that turn viral in the web and have helped to right wrongs that would have gone unnoticed otherwise. Several laws have been passed that are supposed to help people affected by the war on drugs. There is a General Victims law that was approved by Congress by which is still not implemented. Similarly, Congress approved a federal protection mechanism for human rights defenders and journalists, but the law has been criticized by freedom of the press organizations, as having few resources and focus. Mexico declared federal defamation laws illegal in 2007, however, about a dozen states still have those on the books. At the federal level, a person can still sue an author for moral damage. At least two critical book writers, who have written books accusing government officials of corruption, have been hit with lawsuits in the last two years. Media ownership remains potent in Mexico. Several dozen national newspapers are published daily, and many more digital news outlets have opened in the last two years. What was not opened until June 2013 was broadcast media. Only two news outlets were for long able to transmit television signals nationally through open television channels. They were Televisa and Television Azteca, which are owned by two of Mexico’s wealthiest citizens. 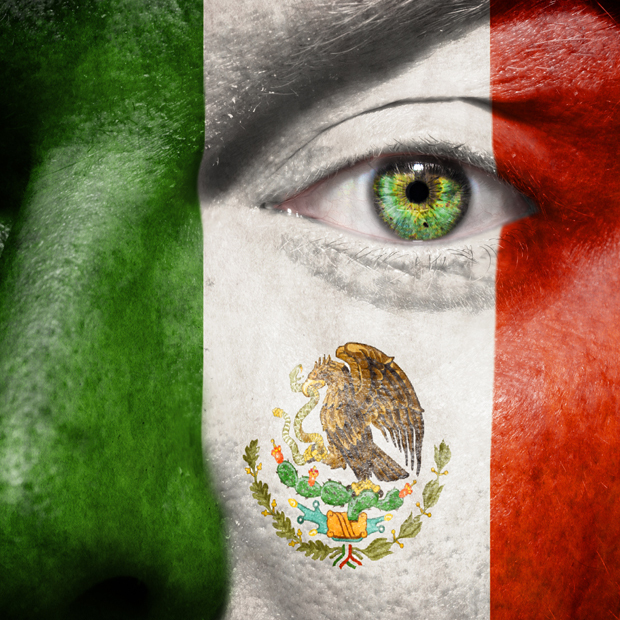 However, with a new Telecommunications law that was approved by Congress in June 2013, Mexico will be able to have two more open signal channels. Another wealthy Mexican, Carlos Slim, who owns an internet-based television network called Uno Noticias will probably benefit from the new law. The new legislation will also promote the installation of a broadband Internet network nationwide. There are 41 million Mexicans who use the internet, according to the Mexican Association of Internet. The states with the highest number of internet users are in Mexico City, State of Mexico and State of Jalisco. The average daily use of the web ranges from four hours to nine minutes. More than 90 percent of all Mexicans using the internet also use social media. Artists have enjoyed unprecedented freedom to be creative in Mexico. The only problem lies with the commercial theatre network, which tends to not keep Mexican made movies long enough in exhibition. One movie that is critical of the legal system in Mexico City and the tradition by local police of grabbing innocent people and accusing them of murder and other crimes, Presumed Guilty, has faced serious challenges because of what appears to be an alleged concerted campaign by a Mexico City legal group that has stopped the film from showing in the country because of multiple lawsuits brought on by people who are shown on the film, and who never signed an agreement to appear in the movie.